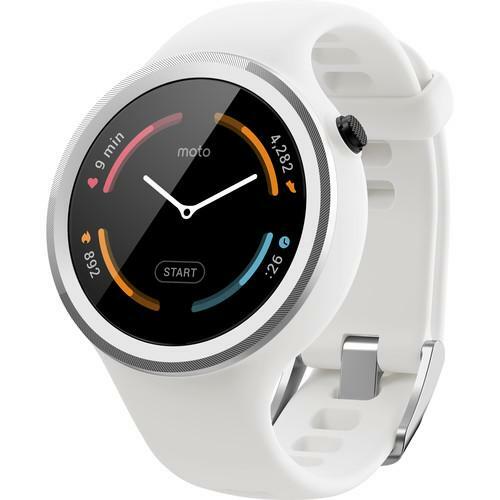 We recommend checking out our discussion threads on the Motorola Moto 360 Sport Smartwatch (White) 00866NARTL, which address similar problems with connecting and setting up Smartwatches Motorola. 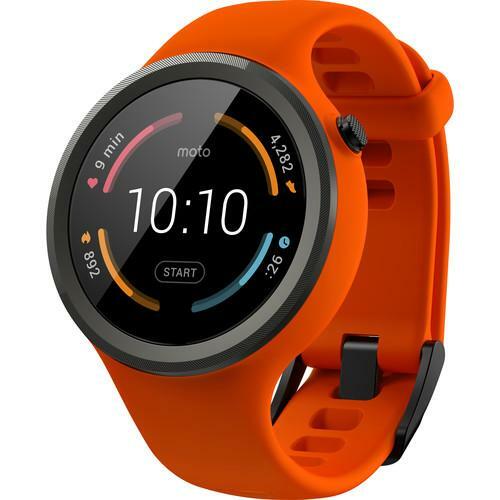 The user manual for the Motorola Moto 360 Sport Smartwatch (White) 00866NARTL provides necessary instructions for the proper use of the product Mobile - Wearable Technology - Smartwatches. Stay active and connected with Motorola's Moto 360 Sport Smartwatch in white. Designed for professional and amateur athletes alike, this watch features a ruggedized silicone band and runs on the Android Wear operating system. It connects to your Android or iOS smartphone via Bluetooth to give you the information you need when you need it and displays it before you ask. The Moto 360 Sport's touchscreen has a native resolution of 360 x 325 and shows "cards" of important info, including text messages, emails, missed calls, weather, navigation, and more, as well as app notifications that can be configured via the free Android Wear smartphone app. It alerts you with a gentle buzz on your wrist, so you can quickly glance at your smartwatch to see new information. If you own a Motorola smartwatches and have a user manual in electronic form, you can upload it to this website using the link on the right side of the screen. Box Dimensions (LxWxH) 6.4 x 5.4 x 5.2"
The user manual for the Motorola Moto 360 Sport Smartwatch (White) 00866NARTL can be downloaded in .pdf format if it did not come with your new smartwatches, although the seller is required to supply one. It is also quite common that customers throw out the user manual with the box, or put the CD away somewhere and then can’t find it. 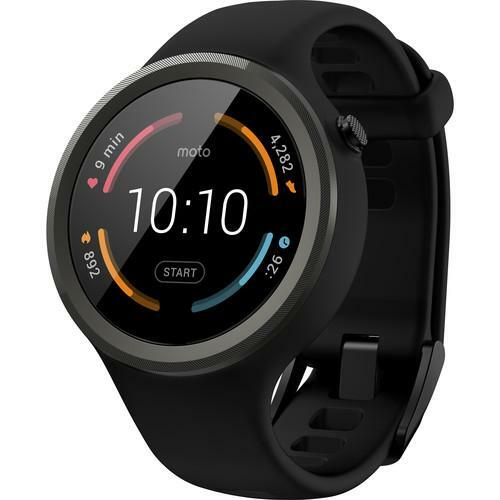 That’s why we and other Motorola users keep a unique electronic library for Motorola smartwatchess, where you can use our link to download the user manual for the Motorola Moto 360 Sport Smartwatch (White) 00866NARTL. The user manual lists all of the functions of the Motorola Moto 360 Sport Smartwatch (White) 00866NARTL, all the basic and advanced features and tells you how to use the smartwatches. The manual also provides troubleshooting for common problems. Even greater detail is provided by the service manual, which is not typically shipped with the product, but which can often be downloaded from Motorola service. If you want to help expand our database, you can upload a link to this website to download a user manual or service manual, ideally in .pdf format. These pages are created by you – users of the Motorola Moto 360 Sport Smartwatch (White) 00866NARTL. User manuals are also available on the Motorola website under Mobile - Wearable Technology - Smartwatches.